A garden will be more welcoming if it has not only beautiful sight but also relaxing areas, hence you have to create relaxing spot in the garden. A relaxing spot offers comfort and freshness. Create your own relaxing spot in the garden and get the different experience of getting relaxed. To create relaxing spot, you need to consider the proper furniture. 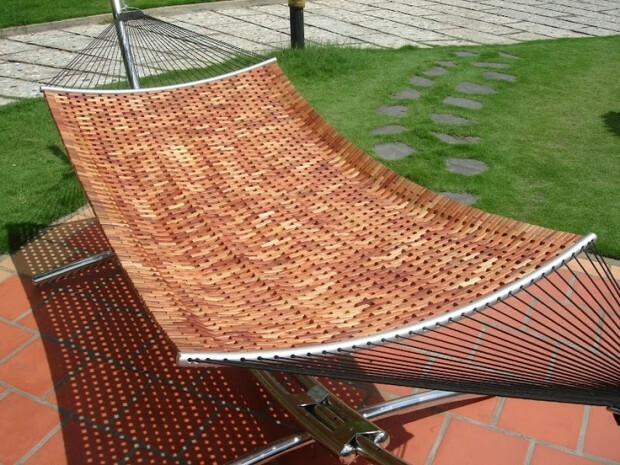 Nowadays, there are so many kinds of materials for your outdoor furniture. 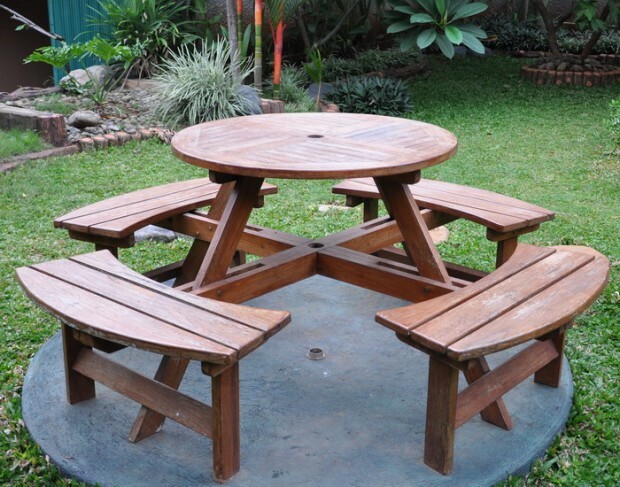 Here are the some examples of outdoor furniture materials. Teak is a type of wood that commonly used for outdoor furniture. Teak can stand with high temperature and also stand firm the rain and humidity. The teak can stand strongly because they have silica which gives them more resistive power. The metal is also recommended for outdoor furniture material. It is proven by the high demand of iron and aluminum, which is including as metal, to be the material of outdoor furniture. The wicker is also start to be popular today. It is because the wicker is easy to be shaped and hard-wearing in nature. After talking about the materials, now time for what kind of furniture that most suitable for being relaxing spot. You can start by installing gazebo in your garden. Gazebo is usually made from wood. The wood gives you additional effect that is warmth. Moreover, gazebo presents a good view of your garden sight. The next furniture is outdoor sofa. The outdoor sofa is the first and simple choice if you want to spend your time peacefully in your garden. By installing one or more sofa outdoor, you can feel the garden landscape as comfortable as the living room. There are two choices of outdoor sofa designs. They are deep-seated sofa and sectional sofa. The deep seated sofa usually comes in a wide seating area and very enjoyable. Another option is sectional sofa. Based on its name, you can separate the sofa into different pieces. This way allows you to have more guests in your outdoor place. 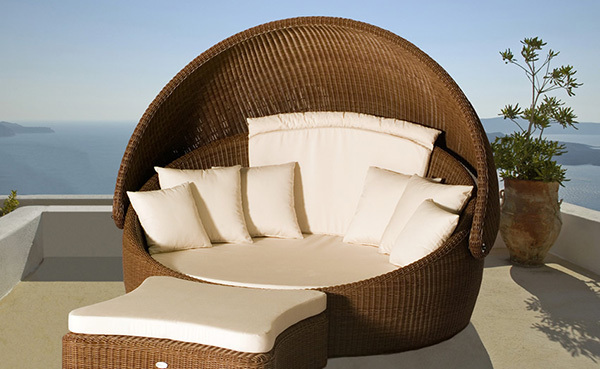 Daybed is also recommended furniture for your relaxing spot. 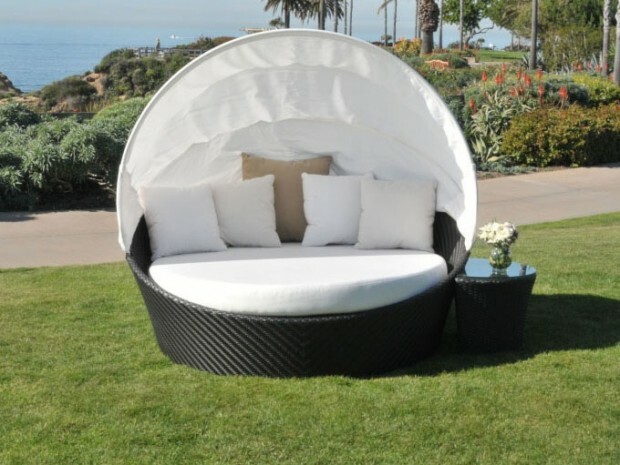 Installing the daybed in your garden allows you to take a nap in outdoor place. You can put a canopy or placed the daybed underneath a shade to protect you from the high exposure of the sun. You can place your daybed near the flowers so you can relax and enjoy the beauty of your flowers. Installing wooden benches, swing, puffs, or hammock can be the other options of relaxing spot for your garden. You can place wooden benches facing the flowers spot so you can enjoy the prettiness of your flowers. 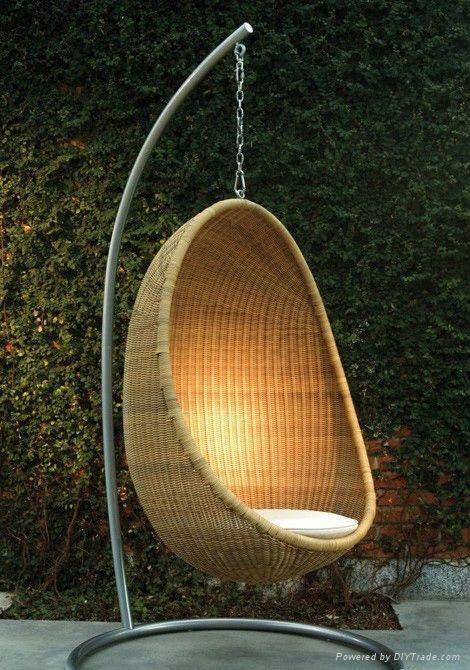 The swing can be hung in the trees and allow you to enjoy the touch of the breeze. Puffs have same function as the outdoor sofa and hammock has the same function as the outdoor daybed. But puffs and hammock are simpler than the sofa and the daybed. Relaxing spot not only determined by installing some furniture in your garden. You can add a water fountain with a lot of beautiful flowers surrounding the fountain. 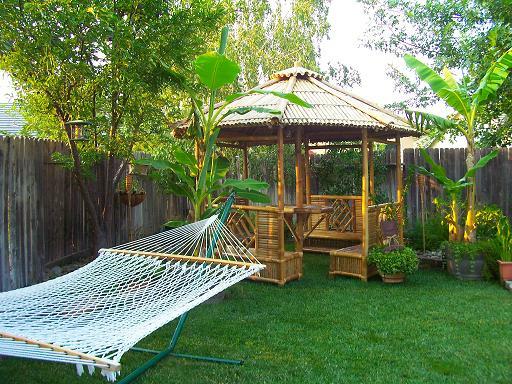 It can be as relaxing as the gazebo or the daybed when you look at it. The fish pond is also relaxing too. You can install a wooden bridge across the pond so you can enjoy fish swimming inside it, feed them and also hear the trickling sound of water. All of them can make you relax your body and your mind. You can enjoy the shady area as a relaxing spot. Weeping willow or outdoor decks with umbrella can make you very relax because they open for breeze and sun beam which make you feel fresh and warm at once. Creating relaxing spot in your garden is needed since relaxation is important for refreshing your body and mind. 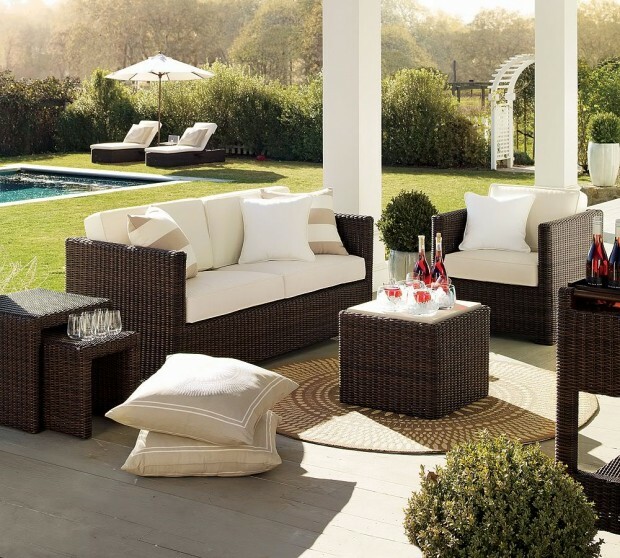 When you choose the outdoor furniture, make sure that you choose the materials which can stand over the prolonged exposure and the weather so you can enjoy your garden beauty longer.